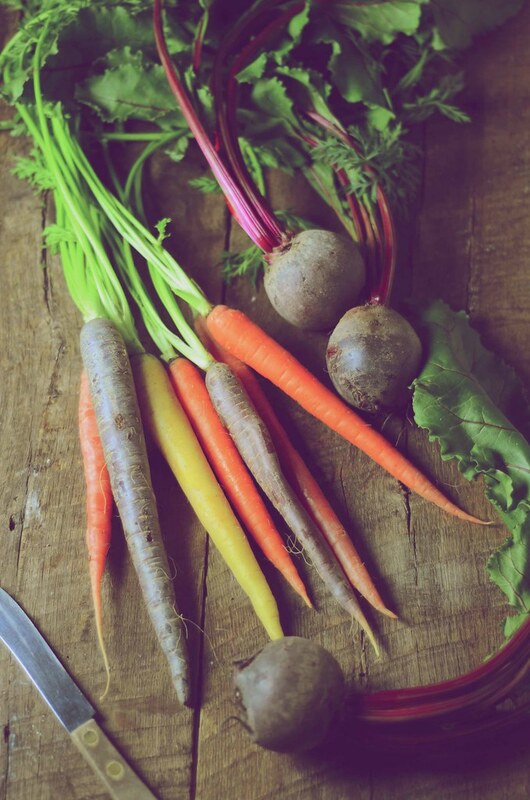 Last week was a week full of lucky events, one of which involved these beautiful rainbow carrots (and a couple of gorgeous beets) that were absolutely delicious. In my attempts to be adventurous, I tried to plant a few carrot seeds last year, with the hope that I might get some rainbow roots to eat but luck and the Garden Gods were literally not rooting for me. 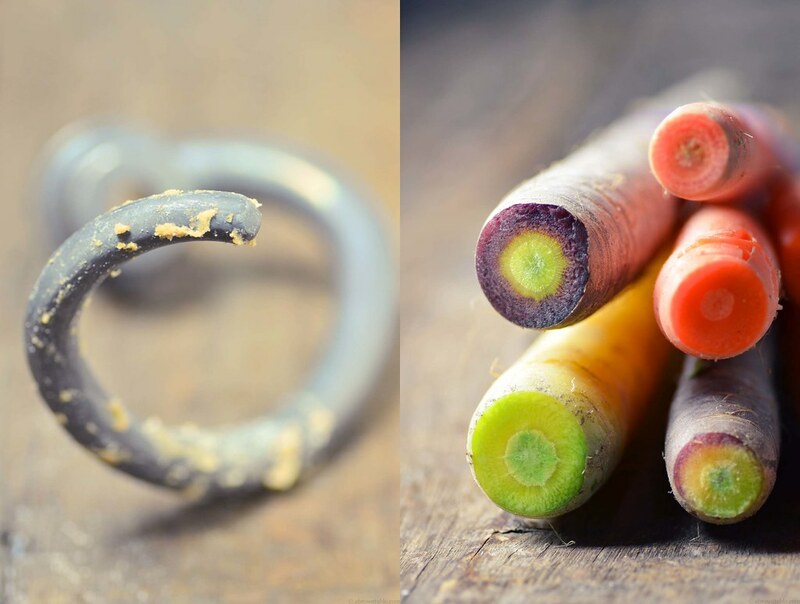 Thankfully, if I keep seeing these carrots at my local Whole Foods and maybe even the Farmer's Markets this warm season, I won't have to depend on the forces of nature and a very obnoxious family of squirrels that occasionally frequent my garden. At home, I've been a bit more experimental in the kitchen trying out all sorts of newer varieties of flours that I rarely cook with. A few months ago I tried a very delicious and inspiring amaranth flour based muffin which had such a delicate and tender crumb texture that I instantly fell in love with the taste and knew at some point that it would be worth exploring. Sure enough the combination of amaranth and durum whole-wheat flours made such a very delicate yet tasty flat-bread in this recipe, that I instantly knew it was a treat I'd like to share with you. To make the breads even more wholesome and fun, I combined my freshly grated rainbow carrots with a little a sprinkling of cayenne pepper for heat with the flours. By adding plain non-fat Greek yogurt to bind the dry ingredients, the flat-bread becomes even more tastier and tender. Though, I have mentioned adding a half cup of water to the dough, you may end up using less than this, depending on how fast your dough comes together. If the dough gets too sticky, you can knead it by hand on a lightly floured clean working surface. 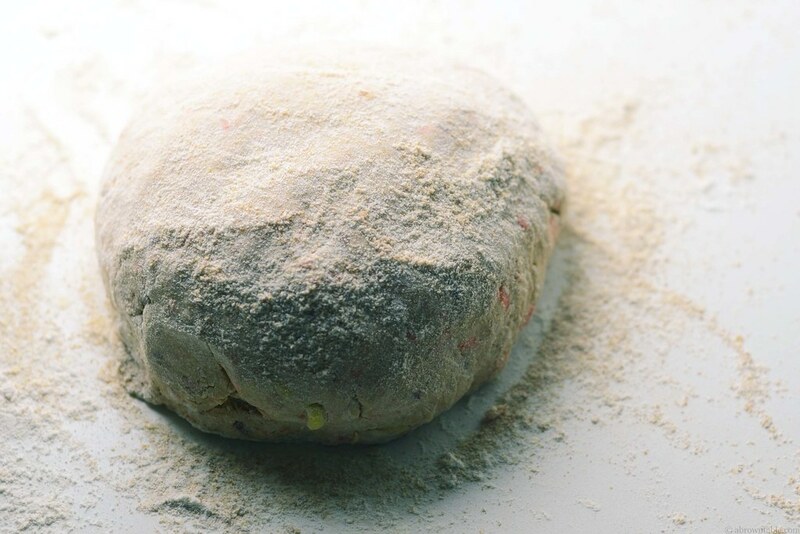 Be careful while handling the dough during the rolling-out stage, it is delicate and can tear. However, if it does tear, it's an easy fix, just press the torn edges together with your fingers. You need very little oil to pan-fry the flat-breads and they are best when served freshly hot straight from the pan. I love eating them with a little bit of plain yogurt and a side of a fresh salad or pickle. 1. In the mixing bowl of a stand mixer, add the flours, salt, cayenne pepper, and caraway seeds. Whisk with a fork to mix the ingredients together. 2. Fold the carrots into the mixture with a silicone spatula until evenly distributed. 3. Place the bowl in the stand mixer and attach the dough-mixing hook. 4. Set the speed to low-setting (speed settings will vary depending on the brand of the mixer but use the lowest mixing settings recommended for dough preparation). Add the yogurt to the dry ingredients in the bowl and mix till almost combined. Add 2 tablespoons of water at a time to the dough while mixing until the dough comes together. (* You may end up using less than the half cup of water depending on the moisture content of the flour, so add a little at a time). 5. Dust a clean work surface with a little whole-wheat flour and place the dough on it. Knead the dough to form a large ball. Cover the dough with a clean cloth or cling film and let it rest for at least 20 minutes at room temperature. 6. Divide the rested dough into 15 balls of equal size (around 1.5 inches in diameter). Dust a little whole-wheat flour on to a your working surface and carefully roll out each ball into 6 to 7 inch diameter circles with a rolling pin. 7. Heat a pan/skillet on a medium-high flame. Spread about a 1/2 teaspoon of oil onto the surface of a rolled flat-bread and place the oiled-surface down onto the hot pan. Spread another 1/2 teaspoon of oil onto the upper surface. Cook the flat-bread for around 3 minutes before flipping to cook the other side. The flat-bread is cooked when golden brown and slightly blistered on each side. Serve hot. 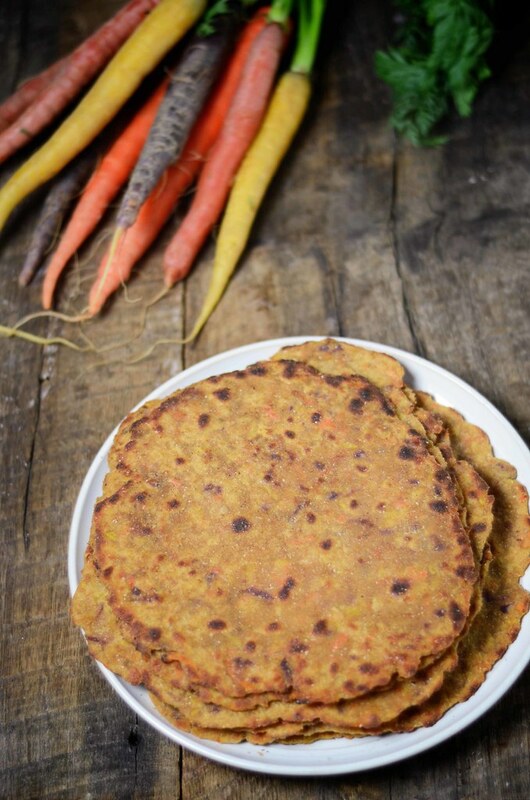 In "Amaranth Flour", "Durum Whole Wheat Flour", "Grain", "Indian", "Rainbow Carrots", "Yogurt", "flat-bread"